We have a return engagement at the Irish Genealogical Society of Michigan. 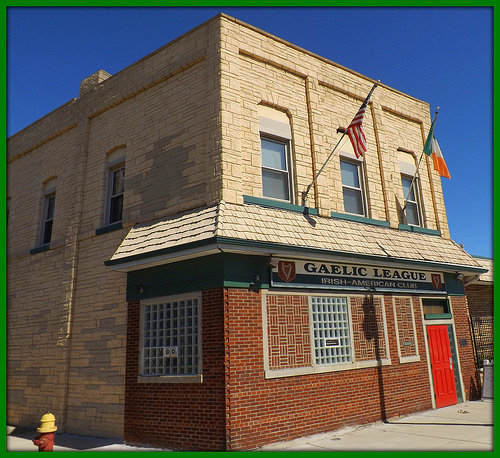 The Irish Genealogical Society of Michigan meets at the Gaelic League in my hometown of Detroit. We’ll be there on Saturday, March 23, 2019. It’s the society’s regular monthly meeting, but everyone (and anyone) is welcome. The event is billed: “"Some Irish Tales From an American Seanchi". The seanchi is ME! The society ordinarily meets at the Gaelic League in Detroit (pictured at right). 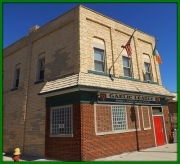 But the March session with ClanDonnell will be held at the hall of the Ancient Order of Hibernians, 25300 Five Mile Road in Redford (between Telegraph and Beech Daly. This is about three miles from where I grew up! Visit The Irish Genealogical Society of Michigan. “Critically acclaimed author and storyteller David McDonnell will tell some Irish tales at the Ancient Order of Hibernians hall in Redford, on Saturday, March 23 at 1:30 pm. The event is hosted by the Irish Genealogical Society of Michigan and the public is invited. AND the Michigan Irish-American Chamber of Commerce (MIACC Irish Network) - for publicizing the event.